That’s not normally a problem, as long as you aren’t trying to override Gravity Forms’ stylesheets. Which we normally do when we’re building a nice shiny new theme for a website! One way to get around the problem is to tell Gravity Forms not to load its stylesheets (it’s a setting), and take over styling the forms yourself. If you think that sounds like a lot of work, well… maybe not so much if you incorporate some basic styling from a project like Gravity Forms Sass. An easier way around the problem, however, is to work out what forms you will be loading in widgets on your pages, and ask Gravity Forms to load their required stylesheets. 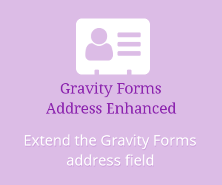 NB: you need to know the form IDs, because Gravity Forms only loads the stylesheets needed for each form that will be displayed, and to do that it needs to examine each form.